If you have friends or family who are into steampunk clothing, you know how hard it can be to find a really unique and meaningful gift for them, This holiday season, forget trying to find something at the mall, and let our gift guide do all the hard work for you. We've compiled some of the best ideas for gifts for Steampunk types, whether you're looking for steampunk jewelry, steampunk accessories, or something a little more unusual! 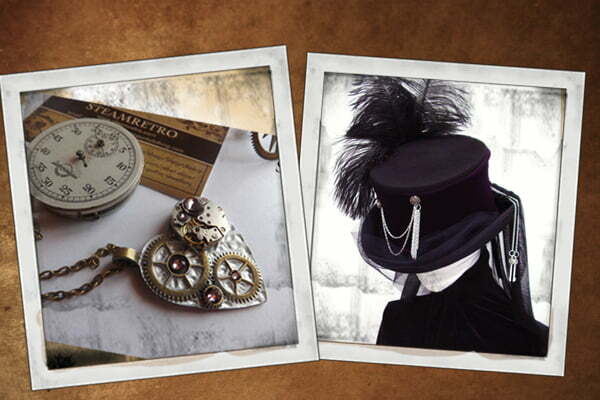 Steampunk necklaces, often incorporating clockwork pendants or alchemy- inspired glowing necklaces. Garter straps, used to hold up thigh-high stockings or over the knee socks and look gret while doing it. Steampunk gloves and armwarmers, since no Victorian-inspired outfit is complete without them! Steampunk fascinator, a small hat or hair accessory that accentuates any updo beautifully. These can be as small as feathered clips or as big as a mini hat. A Steampunk pocketwatch, because it's important to know when the next train is due, if it's tea time, or if the timing on the last experiment needs to be adjusted. Steampunk goggles, since all that steam can be hell on delicate eyes. Clockwork cufflinks to really pull an outfit together or show off a little Steampunk fashion at even the most formal of events. Victorian spats to turn any pair of shoes into a pair worthy of the most dapper gentleman. A Steampunk flask is always nice, because you never can tell when or where the party will start. 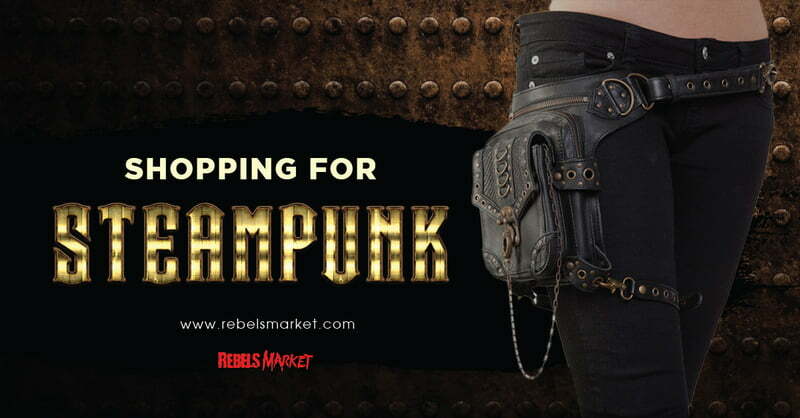 A unique Steampunk hip pouch, kinda like a fanny pack but so much cooler. Besides, a heavy purse or messenger bag just looks silly with a Victorian coat or bustle skirt! Steampunk artwork, like sculptures, prints, and boxes to help make a house a home. 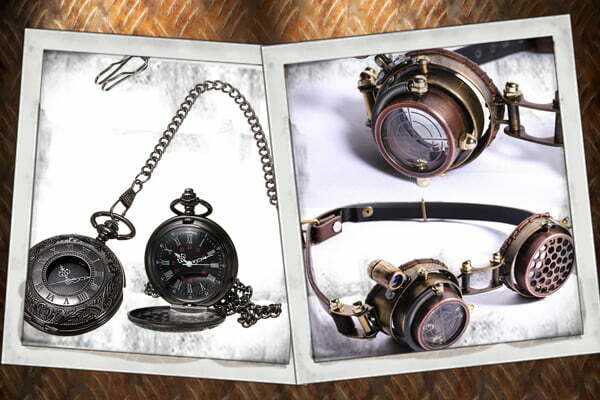 Steampunk props, like handmade replica guns and modified Nerf guns, can finish off an outfit with a little panache. And there you have it! Be sure to take your recipient's personal tastes into account- try to find out as much as you can about their Steampunk obsession, and you're sure to find the perfect gift!